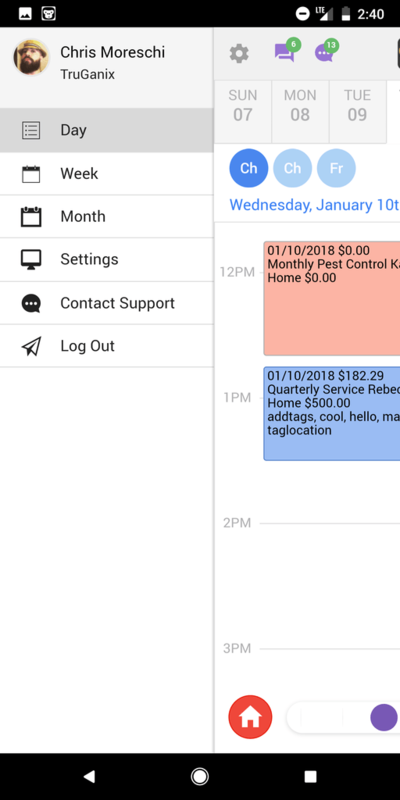 Start saving more time scheduling with the scheduling software that works seamlessly for pest control, pool service, and all other field service businesses. 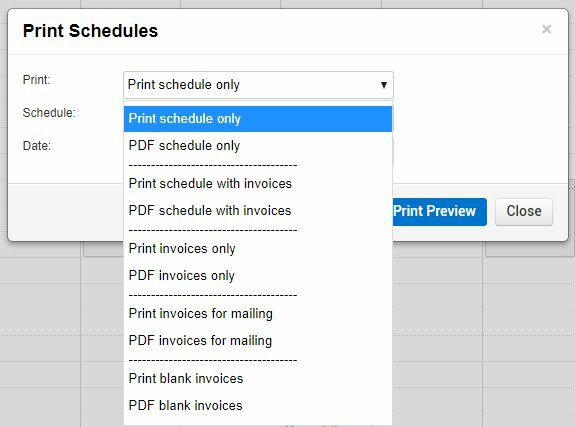 Scheduling is simple with easy drag and drop functionality. Robust calendar tiles are accessed to quickly update any job details. Schedule appointments on any frequency you can dream up. Schedule appointments at any frequency, easily exclude off months. 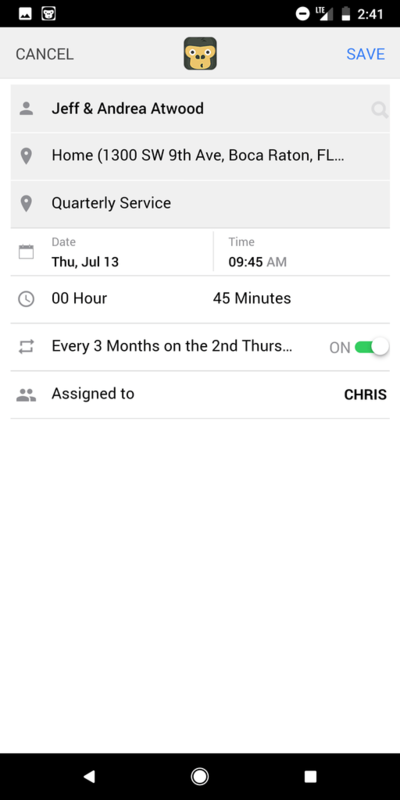 Automate appointment confirmations and reminders. 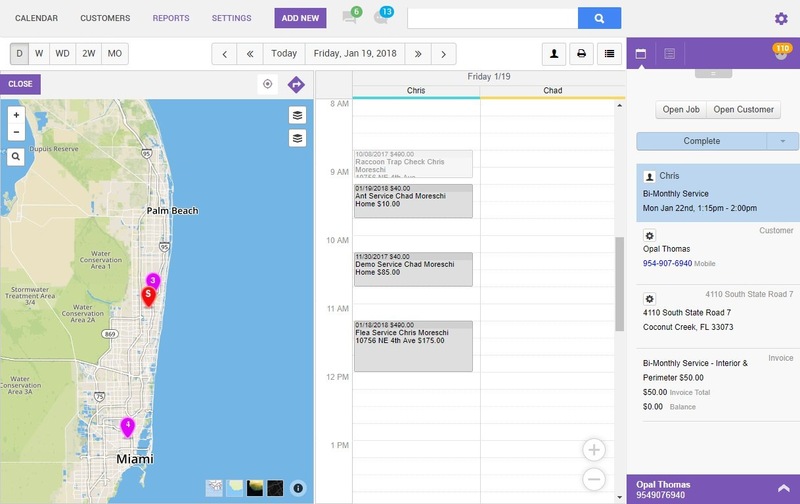 Never miss a job again with a simplified calendar view. GorillaDesk automatically generates recurring appointments for you. Mobile Schedule View When Devices is turned on in your GorillaDesk account all of your jobs will have the additional Devices app card available. This will expand the functionality of each of your jobs to include device tracking. 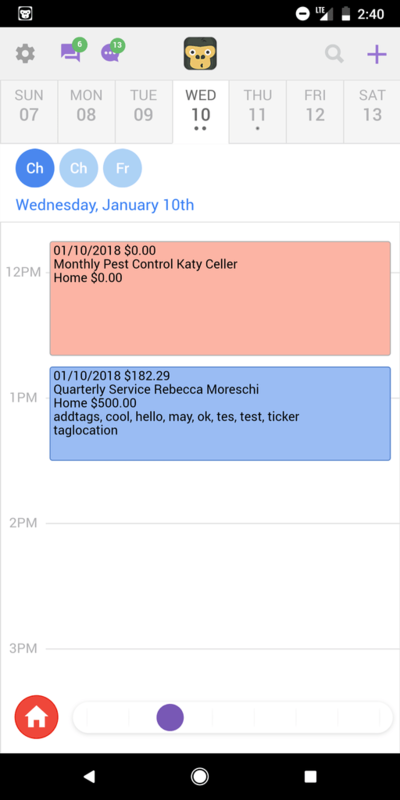 ✓ Add and edit appointments from your mobile device ✓ Admins can view all your schedules with permission ✓ Simple to use mobile calendar any technician will appreciate ✓ View your schedule while offline, you’ll never be without it ✓ Sync your schedule with google calendar — Appointment Details Verify and update appointment times from the mobile app. — Calendar Views Switch between Day, Week, and Month calendar views. A robust scheduling dashboard. Start scheduling faster than ever before with simple to use tools. ✓ Drag and drop across days and schedules. ✓ Reassign jobs across schedules just once or also with future recurring. ✓ Create tighter routes with integrated map views. — Integrated Mapping ✓ Hover over appointment pins to view details. ✓ Drag and drop calendar tiles to update pins in real time. ✓ Filter pins and search unique addresses. — Integrated Routing GorillaDesk will optimize up to 24 stops on the Basic plan and an unlimited amount of stops on the Pro plan. ✓ Optimizes by travel distance in just seconds. ✓ Set your preferences and go. It couldn’t be easier. 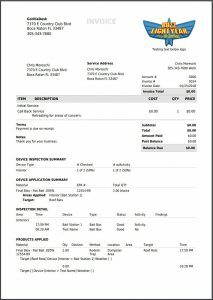 Completely custom built work orders and invoices are also an option with GorillaDesk. We can bring in your own paperwork or make your ideas come to life. You have questions about Device Barcode Scanning, we have answers. GorillaDesk pricing is based on the number of schedules. Are schedules the same as technicians? A schedule gives you access to managing 1 calendar and each technician or truck would be assigned to one calendar.